The final night in San Diego. 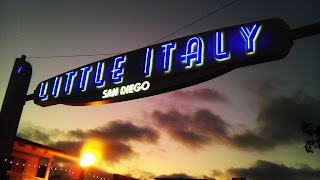 I decided to stroll down to Little Italy to take in some great grub, before getting on the plane and heading back to the Show Me State. This is the picture of the day. Bert & Ernie a marriage made where?